I wouldn't run off to NYFW only to come back empty-handed. I received two pairs of these lovely earrings from Bauble Bar in my IFB Conference gift bag, and now I'm sharing with one of you. 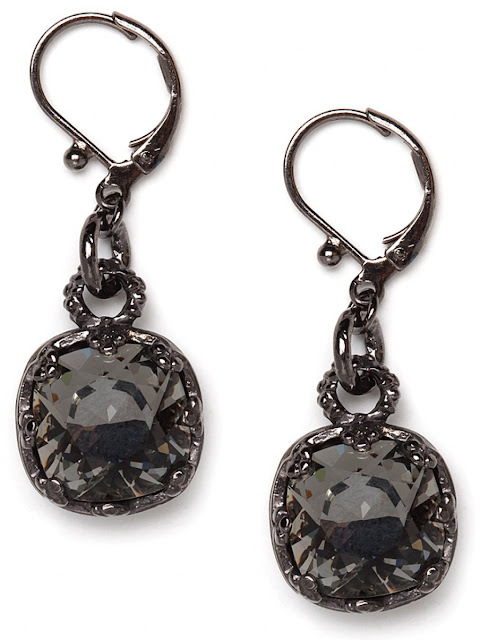 Bauble Bar's Black Diamond Hematite Drops are made of dark Swarovski crystals set in an oxidized base, and they're dripping with gothic glamor. To enter the giveaway, just follow me through Google Friend Connect, Bloglovin' or Twitter, and leave a comment below. I will choose a winner randomly on Wednesday, September 21.